This is a very effective guided meditation to assist anyone reach a deep, peaceful cell rejuventaing sleep. 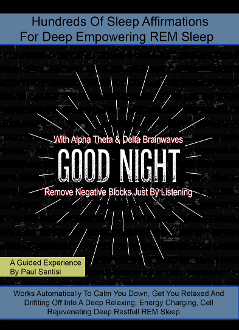 Not only will you enjoy deep REM sleep but negative blocks will automatically be removed just by listening. You will awaken feelling fresh and ready to take on the new day. Enjoy your dreams.